Delays in traditional HIV DNA PCR testing for early infant diagnosis (EID) at 6 weeks of age result in late antiretroviral treatment (ART). Birth point of care (POC) testing is an emerging strategy with the potential to streamline EID services. We elicited providers’ recommendations for introducing birth POC testing to guide strategies in Kenya and similar settings. We conducted formative interviews with 26 EID providers from four Kenyan hospitals prior to POC implementation. Providers discussed the need for comprehensive training, covering both EID and POC-specific topics for all key personnel. Providers highlighted equipment considerations, such as protocols for maintenance and safe storage. Providers emphasized the need for maternal counseling to ensure patient acceptance and most agreed that specimen collection for birth POC testing should occur in the maternity department and supported a multidisciplinary approach. Though most providers supported ART initiation based on a positive birth POC result, a few expressed concerns with result validity. To maximize implementation success, provider training, equipment security, maternal counseling, and logistics of testing must be planned and communicated to providers. The Kenya Medical Research Institute, Global Health Innovations, and Children’s Mercy Kansas City were collaborative partners in these efforts. We would like to acknowledge the members of the Study Team who played a key role in data collection and interview transcription: Mr. Martin Ochieng, Mr. Shadrack Babu, and Ms. Elizabeth Nyambura Muchoki. We are grateful to the providers who participated in the interviews. We also acknowledge the critical role of our government partners at the Kenya National AIDS and STI Control Program (NASCOP). We thank the Director of KEMRI for permission to publish this manuscript. This study was funded by the Eunice Kennedy Shriver National Institute of Child Health and Human Development (Grant Numbers R01HD076673 and R01HD076673S2). On the Fast-Track to an AIDS-Free Generation: The Incredible Journey of the Global Plan Towards the Elimination of New HIV Infections Among Children by 2015 and Keeping their Mothers Alive. Joint United Nations Programme on HIV/AIDS, 2016. http://www.unaids.org/en/resources/documents/2016/GlobalPlan2016. Ministry of Health NASCOP. Guidelines on Use of Antiretroviral Drugs for Treating and Preventing HIV Infection in Kenya 2016. Nairobi: NASCOP, 2016. https://aidsfree.usaid.gov/sites/default/files/kenya_art_2016.pdf. Cepheid. Xpert® HIV-1 Qual 2018 [6/1/2018]. Available from: http://www.cepheid.com/en/cepheid-solutions/clinical-ivd-tests/virology/xpert-hiv-1-qual. Abbott. Alere Q HIV-1/2 Detect 2018 [6/1/2018]. Available from: https://www.alere.com/en/home/product-details/alere-q-hiv-12-detect.html. WHO prequalification of in vitro diagnostics public report. Product: Xpert® HIV-1 Qual Assay WHO reference number: PQDx 0259-070-00. World Health Organization, 2016. http://www.who.int/diagnostics_laboratory/evaluations/pq-list/hiv-vrl/160613PQPublicReport_0259-0700-00_XpertQualHIV_v2.pdf. WHO Prequalification of In Vitro Diagnostics Public Report. Product: Alere™ q HIV-1/2 Detect WHO reference number: PQDx 0226-032-00. World Health Organization, 2016. http://www.who.int/diagnostics_laboratory/evaluations/pq-list/hiv-vrl/160613PQPublicReport_0226-032-00AlereHIVDetect_v2.pdf. Handley M, Pasick R, Potter M, Oliva G, Goldstein E, Nguyen T. Community‐engaged research: a quick‐start guide for researchers. From the Series: UCSF Clinical and Translational Science Institute (CTSI) Resource Manuals and Guides to Community‐Engaged Research. Clinical Translational Science Institute Community Engagement Program, University of California San Francisco, 2010. https://accelerate.ucsf.edu/files/CE/guide_for_researchers.pdf. Schneidman M, Dacombe RJ, Carter J. Laboratory Professionals in Africa: The Backbone of Quality Diagnostics. Washington, DC, USA: World Bank: Health, Nutrition, and Population Global Practice, 2014. https://openknowledge.worldbank.org/bitstream/handle/10986/21115/927280WP0Labor00Box385377B00PUBLIC0.pdf?sequence=1&isAllowed=y. 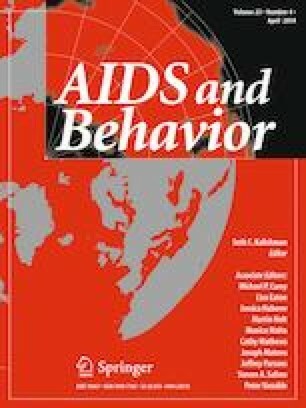 Consolidated guidelines on the use of antiretroviral drugs for treating and preventing HIV infection: recommendations for a public health approach—2nd ed. World Health Organization, 2016. http://apps.who.int/iris/bitstream/10665/208825/1/9789241549684_eng.pdf. National AIDS and STI Control Program. EID Dashboard. 2018; https://eid.nascop.org/. Accessed 6/1/2018.